Wearing perfume oils is something new to me. 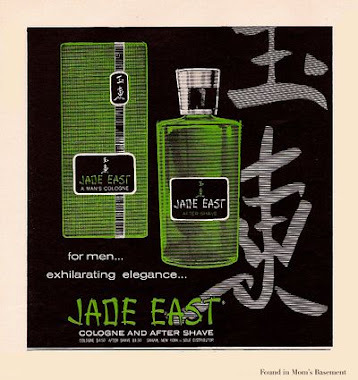 The large majority of perfume enthusiasts and consumers, like myself, buy and wear fragrances (e.g., eau de cologne, eau de toilette, eau de parfum, etc.) that are mixtures of perfume oils diluted with large amounts of alcohol. However, there's a contingent of perfume aficionados who enjoy wearing the perfume oil itself, or mixtures of various oils, undiluted by alcohol. An "essential oil" is the actual oil extracted from a particular raw material such as lavender, vanilla, cedar or patchouli. "Perfume Oils" are basically essential oils diluted with a small amount of an odorless oil, so that the essential oils won't irritate your skin. Until recently, I had no interest in buying or wearing perfume oils; I used to think the only people who wore oils were ex-hippies. 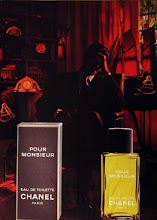 The wearing of oils, however, is like a sub-genre of perfume appreciation, and is one that takes some getting used to. If you keep this in mind, you'll find that wearing oils is an enjoyable, as well as very cost-effective, way of appreciating perfume. If you're like most people and accustomed to wearing eaux de toilettes, eaux de parfums or eaux de colognes, chances are you're not going to be too impressed with the smell of perfume oil at first. Why is that? Consider cypress oil, for example. Cypress essential oil basically smells like a dense, compacted, ultra-concentrated version of cypress; when you first take a whiff of pure cypress oil, it smells harsh, sharp and brutal, and it doesn't even really smell like a cypress tree or cypress needles. I think it smells like rubbing alcohol. However, when you add perfumer's alcohol to the oil, the oil's scent opens up and becomes much more transparent. This expansion or blossoming of the scent is what allows the cypress oil to smell like a cypress tree or needles as we know it. So how then are we supposed to enjoy the smell of perfume oils, you might ask? The key to enjoying pure perfume oil is patience. 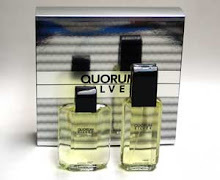 We're talking about a totally different experience than spraying on a cologne and getting a nice invigorating burst of top notes; with oils, you don't get that energizing, uplifting blast like you would from an eau de toilette. It takes time. You need to gently rub the oil into your skin - I put a dab on each wrist, back of each hand, and on each side of my neck - and give your skin time to absorb the oil, so that your skin can assimilate and become one with the oil. For me, it takes about a half hour for that to happen. Once that happens, the smell of the oil begins to blossom. Let me tell you about my own experience with perfume oils. Just recently, I purchased four perfume oil blends from an independent merchant on eBay, who sold her homemade blends at ridiculously low prices. When the perfumes arrived, I sampled them by putting little dabs of each one on my arms and sniffed them immediately. I thought, "What the hell is this?!" I wasn't impressed with any of them; I thought they smelled crude, rough, poorly blended and completely lacking in complexity. My only consolation was that I only paid like four bucks for each of them. Other than that, I felt like I wasted my money. Boy, was I mistaken. I put them aside for a few days before trying them out again. This time, I decided to put the oil on right after taking a shower in the morning (when my pores are still open) and give it time to blend into my skin. And that's when the magic happened. What at first sampling smelled like crude mixtures of oils thrown together by an amateur, all of a sudden smelled perfectly balanced, smooth and beautiful. All they needed was my patience. Since then, I've worn all four perfume oil blends and I can't believe that I didn't like them initially. They're wonderful fragrances, and I will replenish them as soon as I run low. What's the point of all this perfume oil stuff when you can just buy a fragrance at a department store and get immediate enjoyment from it? The answer has multiple layers. First of all, you can't beat the price. For example, if you typically would pay $45 for a bottle of Obsession For Men, you could get a 10 ml. vial of a similar blend of perfume oils from an independent merchant for about $5. And this leads me to another reason to consider wearing oils: staying power. Just a couple of dabs of pure oil has the same strength of several full sprays of an eau de toilette, which means that a small vial of perfume oil will last about as long as a 50 ml. bottle of eau de toilette. The phrase, "A little dab'll do ya" certainly applies to perfume oils. However, what I like most about wearing perfume oil blends is how the scent melds with my skin. Sometimes I'll put on an eau de toilette that, for some reason, never really seems to blend in with my skin. It smells like the scent is just lying on top of my skin, as if I'm not even wearing it. Not so with oils. When I put on an perfume oil, my skin assimilates the oil, and result is a scent that makes me feel like it's a part of me. It makes for a much more comfortable and satisfying wear. By writing this post, I'm not saying that I've switched over to wearing perfume oil blends from now on. 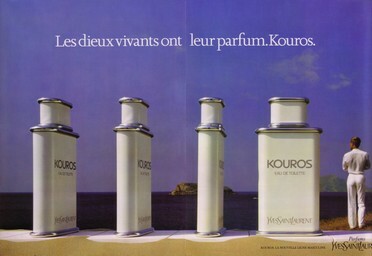 Still nothing quite satisfies me like spraying on Paco Rabanne or Kouros. However, I'm finding that perfume oils are a great alternative to mainstream eaux de toilettes, mainly because they are so much less expensive and are often more comfortable to wear. I'm glad I took the plunge. I love perfume oils for the very reason you eloquently stated. They become a part of you! 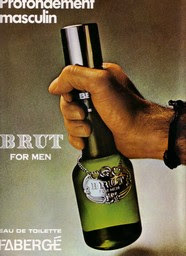 I don't hear of too many men wearing perfume oil. My husband says it's too feminine which I think is ridiculous. Maybe it's cultural conditioning. I recommend Alkemia Perfumes on etsy. The perfumer is very talented. Her perfume oils are well blended, very clean, have amazing sillage and longevity. I did a review last month on Les Mysteres which smells like a cross between Diptyque Philosykos and CdG Incense Avignon. It smells very expensive but she sells 5ml for $12!! My other favorite is Attar al Oud and it's beautifully complex, a morpher! She has other amazing scents that are unisex/masculine you might like. Thank you for the recommendations on Alkemia. I'll check out their website an see what they have to offer. I'll also check out your review of Les Mysteres. Like you, I don't see anything unmanly about wearing perfume oils. If your husband has a hangup about it, just tell him that it's not like anyone is going to see him putting it on! By the way, I did check out Alkemia's site, and I ordered 5 samples of their oils. I can't wait till they arrive. They have a great looking website too. Their descriptions of their perfumes, I have to admit, lured me in. Another major reason that perfume oils exist is for religious reasons. Many Muslims cannot abide alcohol-based perfume, so most Middle Eastern perfumers produce oil-based fragrances as part of their catalog. In the Arab world, men will run the roller ball tip across the palm of their hand and effectively share the scent with every handshake. This was the best artical I have read on the use of oils. Thank you for this! I just received my first perfume oil in the mail the other day and was unsure how to wear it. I normally only use perfume that is diluted with other chemicals etc. So this is a whole new experience for me! Black Phoenix alchemy labs does a great line of scented oils. My favorite is bread and butterfly. 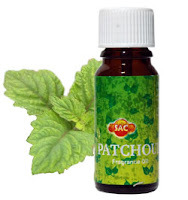 Shop pure essential oils online in India - Essential Oils have today become an important part of everyone's life all over the world. Be it a cosmetic product, perfume, soap, every one of us is extensively being using Pure Essential Oils in some form or another. Milagro beauty offers high quality and affordable pure essential oils in India. You can buy online at milagrobeauty.in.